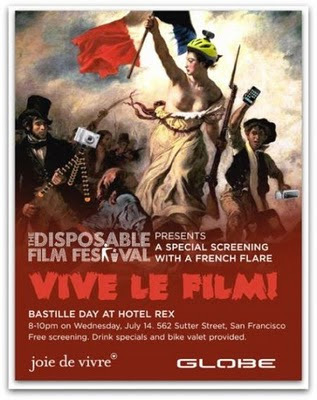 On Bastille Day, July 14th the Hotel Rex will play host to the French-Language Disposable Film Festival. For this particular soirée, the Disposable Film crew has put together their most intriguing French-Language short films for us to enjoy the Joie of Film at our very own Hotel Rex. The screening begins at 8:00pm but we’ll be serving French-inspired drink specials in our Library Bar starting at 6:00pm. Attendance is free. 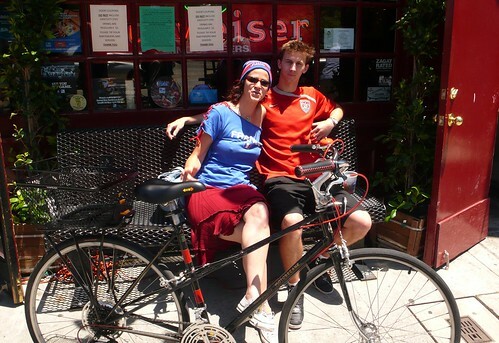 More info about the event on the Joie de Vivre blog.